In this article, we have selected some of the very best Responsive Business WordPress Themes that you can find on the internet. We start with only 10 themes, but in the future, this list will grow. Stay connected in our socials or subscribe in our mail-list to get notified. The WordPress Community is very big and every day new themes were created in various marketplaces. A lot of them are for free and published in WordPress directory. But is not simple for a designer/developer that don’t want to spend money to choose the right one from a large directory of business themes. Here we have selected only the best of responsive business WordPress themes, with a detailed review of them to help you choose the right one. Constructzine Lite is a fully responsive WordPress theme well designed for corporate business and construction websites. It is built with construction companies in mind. Constructzine Lite comes with a lot of features that can help you to create a perfect site for your business or corporate: Fully responsive and pixel perfect in any device, large images, social menu, clean and minimal design. Choose this free business WordPress theme if you want to create a construction or corporate website. Esteem is one of the cleanest multipurpose responsive business WordPress theme ever created. It is designed to fit all businesses needs. It’s one of top high recommended free WordPress themes. The theme supports custom headers, custom background. It is also fully compatible with popular plugins like contact form 7 etc…It is simple and easy to use website template. You can use it also to showcase a portfolio. Last but not the least, they provide great support to help their clients. Virtue is a business and portfolio WordPress theme. Virtue comes with an elegant design and with galore of options. This free responsive business WordPress theme can be used for a simple portfolio site or for a complete e-commerce site. We highly recommend it to use for small businesses or personal portfolio. 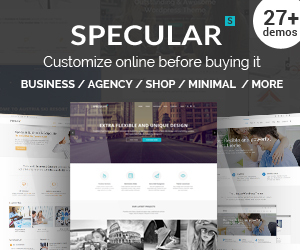 This theme has a lot of features like responsive, shop, icons, gallery and much more. 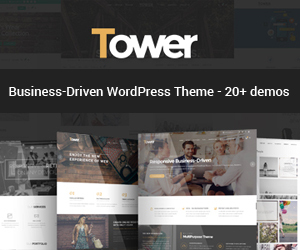 Simple business theme is a minimal responsive business WordPress themes. It has some simple features like simple blog, simple widgets, simple custom backgrounds. It comes with various page layouts, homepage slider, and a clean look. Simple Business Theme is very customizable to create a stunning business website. A simple red theme part of our Responsive Business WordPress Themes. It can be used in various domains. Use it for Small Businesses, Corporate or Internet Agencies. The theme is responsive, with social icons and a great design. Also, with Rambo you have the possibility to showcase your work or to add a simple and useful blog in your website. Typal is one of my favorite Free Responsive Business WordPress Themes. It has a simple design that looks a lot of business & corporate. Typal is fully responsive and have a lot of options to creating a full professional business website. It comes with some important features like Google Fonts, Theme options, custom header, custom menu etc. If you are looking for a free business WordPress theme for the next project, this is one of my favorite. Your site will look great. SimpleCorp is a corporate free WordPress Theme. 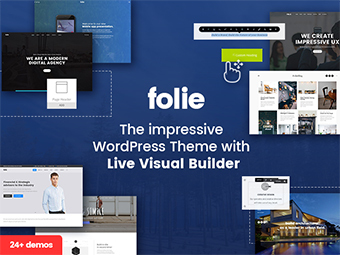 This theme comes with various features that can help you to build an outstanding WordPress Website. SimpleCorp is compatible with all major browsers. It has a corporate feeling design, so clean and professional. SimpleCorp is responsive and was made with HTML5 and CSS3. This theme has built-in features like Contact Form, Pagination, Theme Options Panel and more. Also, let you to add custom logo, favicon, custom header image per single page or entire website. Coni is a powerful multipurpose theme for a business site, blog or portfolio. Some eye-catching elements include one-page design for the front page and features like responsive design, custom header and photo blogging. It has some modern design styles, like full-width sections with background colors or background image or even video backgrounds. Coni comes with price-list built-in and RTL language support. Zerif LITE is a free one page WordPress theme. It’s perfect for web agency business,corporate business,personal and parallax business portfolio, photography sites and freelancer.Is built on BootStrap with parallax support, is responsive, clean, modern, flat and minimal. Zerif Lite is ecommerce (WooCommerce) Compatible, WPML, RTL, Retina-Ready, SEO Friendly and with parallax, full screen image is one of the best business themes. Create memorable pages with smooth parallax effects that everyone loves. Also, use our lightweight content slider offering you smooth and great-looking animations. Showcase your team, products, clients, about info, testimonials, latest posts from the blog, contact form, additional calls to action. Everything translation ready. Top 10 of WordPress.org themes!